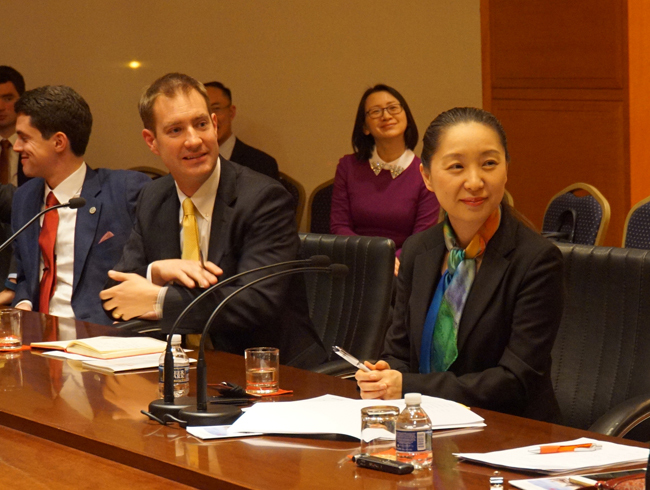 On December 14, DCM and Minister Wu Xi briefed the American Mandarin Society on the 19th CPC National Congress. Minister Wu gave a comprehensive introduction to the historical accomplishments China has made since the 18th CPC National Congress, the historic background and significance of the 19th CPC National Congress, and 14-points basic policy that underpin the development of Socialism with Chinese characteristics for a new era. She said, the 19th Party Congress established the historical status of Xi Jinping thought on Socialism with Chinese Characteristics for a new era. It also set China’s goals for the next three decades and developed a roadmap and timeline to achieve them. Wu said, the 19th Congress outlined China’s foreign policy goal - foster a new type of international relations and build a community with a shared future for mankind. The essence of the goal is to take a new approach to developing state-to-state relations to achieve common prosperity and progress of mankind. It makes clears that China will stay on the path of peaceful development, and continue to pursue a mutually beneficial strategy of opening up. China will continue its efforts to safeguard world peace, contribute to global development, and uphold international order. Minister Wu also shared with the audience a sketch of China-US relations. She said, the bilateral relationship has seen a positive and stable momentum thanks to the joint efforts of the two sides. President Xi and President Trump have kept close contact through meetings, phone conversations and letters, offering clear guidance on the direction of the China-U.S. relationship. The four high-level dialogue mechanisms have served as strong pillars. Bilateral exchanges and cooperation in various areas are deepening and expanding. She said, the 19th CPC National Congress has brought new historical opportunities for China-U.S. relations. China has announced a series of new specific measures for opening wider to the outside world, which would no doubt be good news for the bilateral economic and trade cooperation. In the meanwhile, we should address differences, including trade frictions, through dialogue and negotiation with the spirit of mutual respect and win-win cooperation. Cooperation should be the only right option for the two countries. The briefing lasted for more than an hour with friendly and warm exchanges. 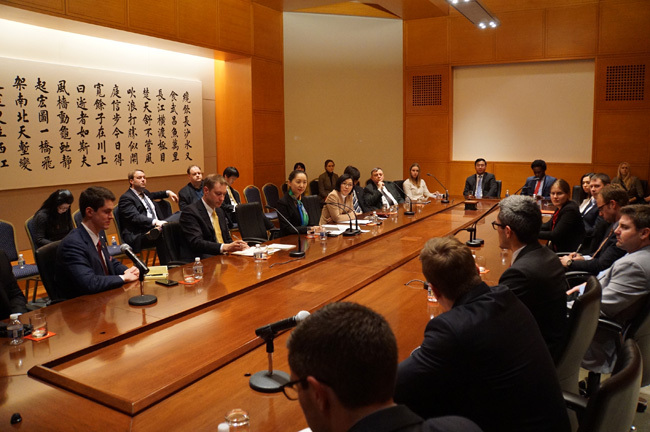 The audience found it very informative and helpful to better understand the 19th CPC National Congress as well as the China-U.S. relationship.